Firefighter safety, and the safety of the public, is a core value and is intrinsic in all areas of wildland fire management. All fire management plans and activities must reflect this commitment. The commitment to and accountability for safety is a joint responsibility of all firefighters, managers, and administrators. The goal of the fire safety program is to provide direction and guidance for safe and effective management in all activities. 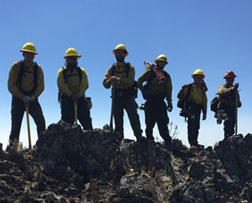 Safety is the responsibility of everyone assigned to wildland fire, and must be practiced at all operational levels from the national fire director, state/regional director, and unit manger, to employees in the field. Firefighter and public safety always takes precedence over property and resource loss.